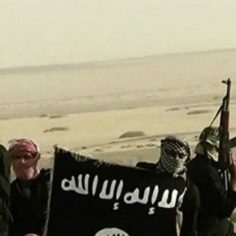 Belgium is facing a terrorism threat with a "wave of jihadism" building from the ongoing Islamic radicalization of inmates in Belgian prisons, according to a new report published by the Belgian State Security Service (VSSE). The risk of Islamic convicts engaging in terrorist acts once they have served their sentences and leave prison, is mounting, the VSSE stated on November 30, 2018. “In the coming years,” the report underscored, “the VSSE will be brought to pay particular attention to monitoring detainees convicted of acts of terrorism [after they are] released into freedom”. While it is not known how many radicalized prisoners there are in Belgium, there were 130 inmates sentenced for terrorism or “in preventive detention in the context of a terrorism record” recorded in September 2018. “Taking into account the persistent recidivist tendency among former terrorism detainees, never mind radicalized common criminals, Belgium will continue to face a latent terror threat for some time to come,” the report stated. Despite the real threat, Belgian intelligence services do not appear to believe that religion is the contributing factor in Islamic terrorism. Instead, the report blames “… real or perceived discrimination, political instability, poor economic conditions, unemployment, level of development”. Benjamin Herman, a criminal who converted to Islam in prison and listed by the VSSE as a suspected radical, murdered three people – including two police officers – while out on a 48-hour leave from prison in the Belgian city of Liège in May last year. Not only Delville, but most politicians have tried to present jihad as a notion not tied to religion. According to a separate confidential intelligence report leaked to the media last May, mosques where jihad is preached, have also become a security headache. A number of them, including the Saudi-financed Great Mosque in Brussels, have been training imams to promote armed jihad. The report notes that the manuals were “inspired mainly by classical Islamic law from the Middle Ages”, and called for “war” on all people who do not follow Sunni Islam. Such writings, the report added, were found not only in Belgium but also in neighbouring countries, both in hard copy as well as online. Belgium has its own Islamic party, named ISLAM [Integrité, Solidarité, Liberté, Authenticité, Moralité], which has, as its goal, creating an Islamic State, including the separation of men and women in buses. In the 2012 municipal elections, the party won two seats, one of them in Molenbeek. But in the 2018 municipal elections, the party lost its seat in Molenbeek, winning less than 2 percent of the vote because it has not been radical enough. In 2017, a leaked confidential report highlighted that there were already 51 jihadist organisations in Molenbeek, a suburb in Brussels. The migrant-populated area has been called the “Jihadi capital of Europe” harboring several wanted jihadists, including those who were behind the 2015 Paris attacks. In March 2016, Brussels was the site of a terror attack, when jihadists killed 31 people and wounded around 300 people in the bombings of Brussels Airport and the Maalbeek metro station. At a Pegida meeting in Germany last year, Vlaams Belang politician Filip Dewinter warned that Europe is at war with Islam. He argued that “the people” should organise the “resistance and hit back”. The Antwerp leader of Vlaams Belang said the Quran was a “license to kill”.